Thank you for choosing this Assessment for your use in checking for mastery of your student scholars’ knowledge of the text. These assessments covers chapters 1 – 18 of the novel, and include STAAR-style questions, vocabulary matching questions, and 1 short answer response/essay to gauge understanding and mastery. Simply print out the five-page assessment, either single-sided or double sided, and use in your classroom after completing chapters 5, 9, 13, and 18. 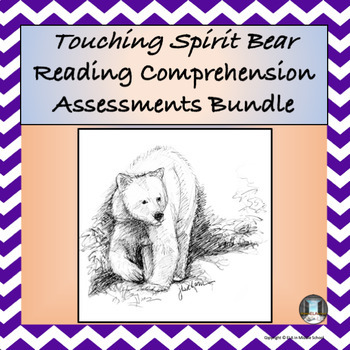 If your classes are using the Study Guide to Accompany Ben Mikaelsen’s “Touching Spirit Bear” also offered by ELA in Middle School, then your scholars have already discussed aspects of each question.